Carol Brown is a three-time Emmy Award winner and seven-time Emmy Award nominee in the field of makeup artistry. She is also an inspirational speaker and an image consultant. 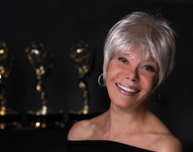 In addition to winning three prestigious Emmy awards, Carol has been recognized by numerous other important and prominent organizations. Among others, she has been awarded acknowledgments and recommendations for outstanding achievements in her field as well as community service by members of Congress, State Senate, State Assembly, the Lt. Governor of California, the Los Angeles County Board of Supervisors, the Mayor of Los Angeles, the Los Angeles City Council, the Police Chief of Los Angeles, and several others. She has also been honored by numerous other civic and community leaders and organizations.